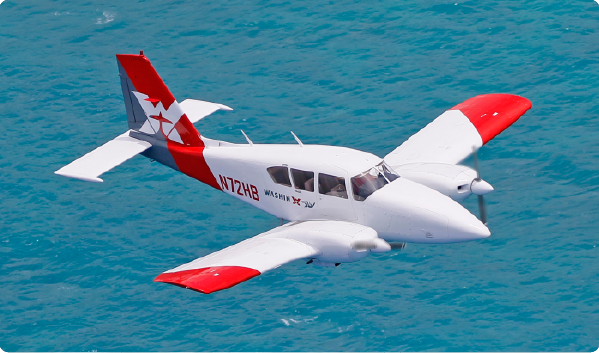 The aircraft used in our single engine course is the 4-passenger Piper Archer known for its high performance and stability, and the Piper Aztec for our 6-passenger multi-engine aircraft. Piper Archer II (PA28-181): Maximum power 180hp. Maximum speed 125 knots. 4 passengers. This aircraft is used for our single engine Flight Experience courses. 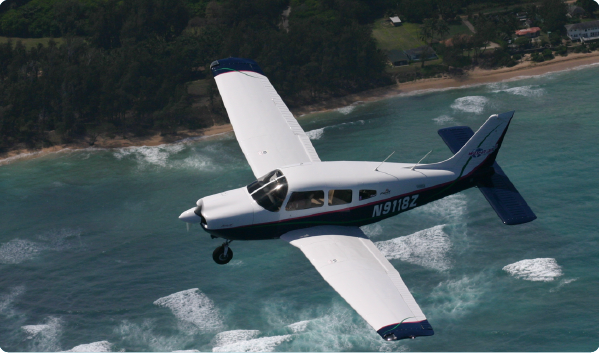 Piper Aztec (PA23-250): Maximum power 250hp. 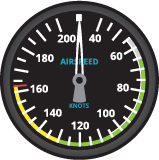 Maximum speed 175 knots. 6 passengers. This aircraft is used for our multi-engine Flight Experience courses. If you sign up for the Flight Experience courses, your guests will be seated in the back. Your friends and family members can witness your piloting skills while they enjoy the breathtaking views of Hawaii from above! 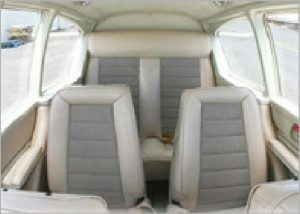 Single engine aircraft seat 2, while the multi-engine aircraft seat 4. Your instructor will be seated on your right at all times. They will give you instructions throughout your flight, so even a first-timer can fly with ease. 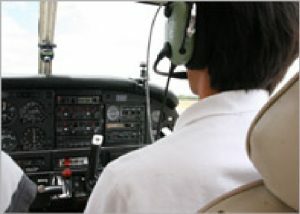 All instructors at Washin Air undergo strict training and are certified by the FAA. Since opening its doors, Washin Air has conducted over 57,000 flights without any accidents. However, we are prepared with life vests in case of an emergency. 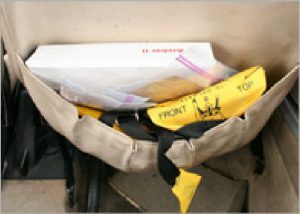 Air-sickness bags are also available in the aircraft. To ensure that everyone feels safe during the flight, we conduct a pre-flight briefing with a video to introduce the instruments and techniques that are incorporated during the flight. 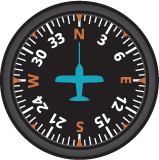 There are 6 instruments that are crucial to your flight, but you only need to keep your eyes on the altimeter. All you need to do is remember the names of the rest! Here’s an overview of what will be discussed. Let’s prepare and review your flight! This instrument will show your speed in knots. Multiply by 2 to convert your speed into kilometers. Your flight will be around 110 knots or 220 kilometers. 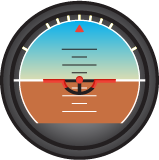 This will show your aircraft’s position. Blue=sky and brown=ground. The orange portion represents the aircraft. This meter tells you the angle your aircraft is banking. 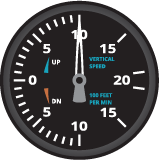 This meter will show your climbing and descending rate in feet. It indicates the rate of climbing and descending. 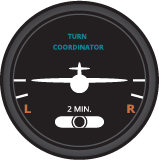 This will show the direction your aircraft is heading. N for North, E for East, W for West and S for South. This will show which way the aircraft is banking. It is somewhat similar to the altitude meter. 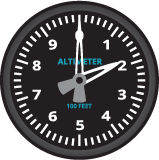 This instrument shows the altitude in feet. 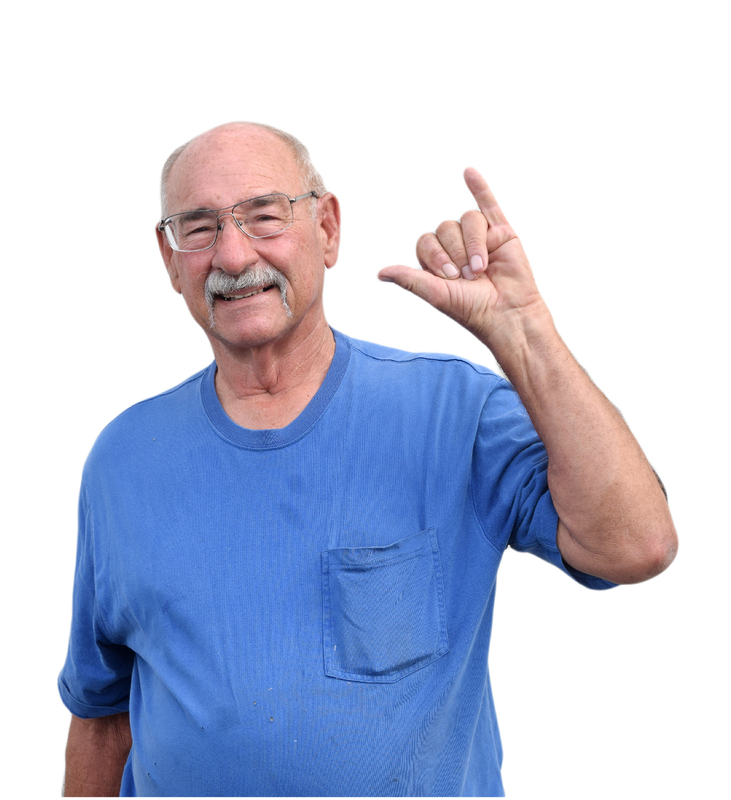 The short hand displays in increments of 1000 feet, while the long hand is in increments of 100 feet. All aircraft flown at Washin Air receive rigorous check-ups every 100 hours of flight time, so they are reliable at all times. Our mechanic Carl works hard so that you can have a safe and enjoyable flight. We tune-up the engines on the aircraft before takeoff so that your flight can be a safe and enjoyable one. In addition to pre-flight engine checks, we perform a variety of checks on the system including engine maintenance/adjustments, propeller checks, instrument checks/adjustments, flight control system checks, aircraft frame/interior/seat belts checks, cylinder compression check, and oil changes and wire checks for every 100 hours of flight time in accordance with FAA codes. Carl is an A&P (Airframe and Powerplant) and IA (Inspection Authorization) licensed mechanic. He personally goes through a checklist of several dozen items to guarantee that each aircraft is in top condition. Only A&P approved mechanics are able to approve an aircraft as being flight-worthy after a checkup.